On November 29, 2009, at age 66, Clyde Kerr, Jr. released “This is Now!,” his first CD collection of original jazz compositions. After decades of performances on recordings from many of the most renowned musicians of our time, Clyde was awarded a grant from the Jazz Foundation of America to record and share his unique, glorious sound with the rest of the world. Making music has been part of Clyde’s life since he first picked up a trumpet at the age of three. 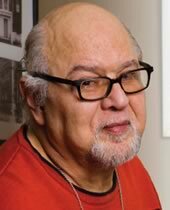 Decades of stage and studio performances (with countless legends including Michael Jackson, Paul McCartney and James Brown) were accompanied by an illustrious career in music education at Skidmore College and locally, teaching budding musicians such as Irvin Mayfield and Trombone Shorty at NOCCA. All the while, Clyde never felt the urge to promote his own, personal musical statement to the public. Personal satisfaction came from helping others find their unique, musical voice and nurturing their own creative expression. Inspired by the reconstruction of New Orleans after Hurricane Katrina and the recollection of his friend Alvin Batiste’s incessant urging, Clyde Kerr, Jr. came to recognize the importance of sharing his music with the world. Supported by a lifetime of creative experience, Clyde realized he had something important to say. And it was something that could only be expressed through his music. “This is Now” reflects a lifetime of experience—from his roots in Treme, to the people he has known and loved, to his exuberant encouragement for all of us to celebrate every moment of our lives. Especially the present, for as Clyde Kerr has learned through a lifetime of music, joy and love — this is now. Clyde Kerr, Jr. … Peoples Health Champion.